Rand Paul proclaims that Hillary Clinton is precluded from becoming president because, of all things, Benghazi! Rand Paul brought up Monica Lewinsky. How'd that work out? Rand Paul may be senator-for-life in Kentucky, but he's now precluded from the presidency himself. It's something he doesn't understand. When you say stuff, it gets remembered, especially in the Internet age. It's on YouTube-for-life. Mitt Romney said, "Corporations are people, my friend." He thought he was being clever. Instead, he was building his list of "He said what??" When the country finally reaches the stop-with-the-Benghazi! 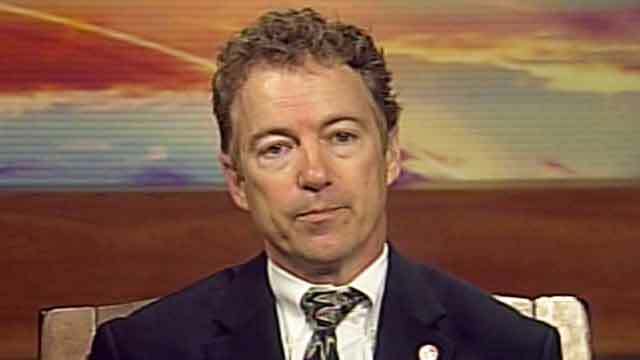 moment, Rand Paul will have his own "He said what??" list.